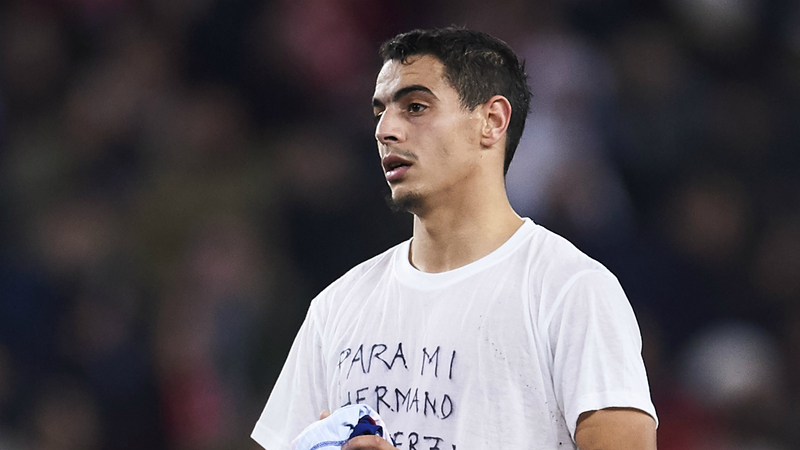 Sevilla striker Wissam Ben Yedder paid tribute to missing Emiliano Sala after scoring against Barcelona in the Copa del Rey. Sala was on a private aircraft that disappeared near the Channel Islands on Monday, the French Civil Aviation Authority confirmed, with searches not finding any trace of the missing plane. Sevilla forward Ben Yedder hit the second goal as Pablo Machin's men won 2-0 in the first leg of the quarter-final on Wednesday, doubling his side's lead after Pablo Sarabia's opener. Former Toulouse striker Ben Yedder displayed a tribute to Sala after scoring, the message on his shirt reading: "For my brother, strength." And Ben Yedder used social media to send a further message of support to Sala, who became Cardiff's record signing when he joined from Nantes on Saturday. "In my heart and in my prayers," Ben Yedder posted on Twitter. "I think of you, Emi." Guernsey Police are set to confirm on Thursday whether or not the search for Sala and pilot David Ibbotson will be resumed.